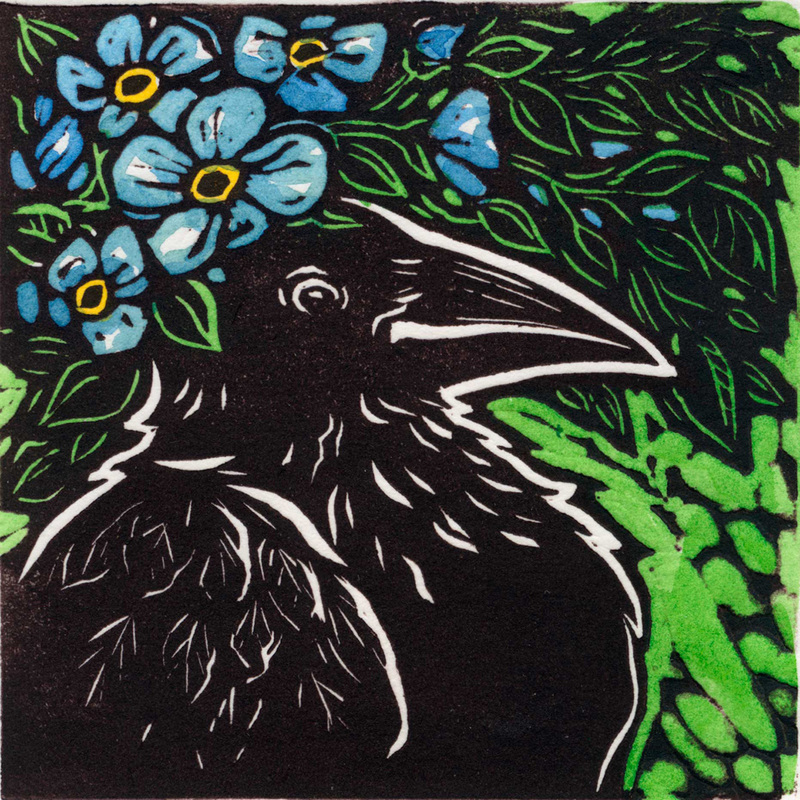 “Florist” features a prideful crow wearing a crown of blue flowers. It's a charming image that would be perfect for any gift. “Florist” is an original linoleum created and hand pulled in my studio on heavy weight Stonehenge printmaking paper. Each is hand painted with lightfast inks. Linocut is a type of relief print. Relief printing is a technique where a piece of paper is “stamped” by the top surface of the plate painted in ink. A design is cut into the linoleum surface with a sharp knife and chisels. Signed and titled in pencil below the print. Mounted on a piece of archival foamboard and packaged in a plastic sleeve for mailing. Shipped flat. I am always happy to answer any questions that you might have. Please don’t hesitate to contact me.